Due to a small confusion, I just received my copy of Abby Ann yesterday afternoon. All I can tell you so far is that I love the story premise and Sharlene MacLaren’s writing style is very descriptive. I can tell you more after I’ve finished reading it. If you want a more thorough review now, pop over to Linda’s at Mocha With Linda. UPDATE: I loved this book! It is a must read and now I want the other two in the series. Sharlene MacLaren is an awesome writer! This story was funny and serious and sweet and heart-wrenching all at once. It has social issues, history, romance, revenge, repentance … all the things of everyday life. Sharlene MacLaren has released eight successful novels since retiring from her longtime career as an elementary school teacher. Her first book, Through Every Storm, won an American Christian Fictions Writers’ award for best in general fiction in 2007. While both her historic and contemporary releases are unmistakably inspirational romance novels, her characters and plots deviate from formula, resulting in unexpected twists and turns – and fat books – to the delight of her fans. At 480 pages, Abbie Ann is her longest to date. Shar and her husband Cecil have two grown children and three grandchildren; they live in western Michigan. Multitalented author Sharlene MacLaren has once again given readers a story that artfully blends excitement, humor, and romance. It isn’t every writer who can pluck every human emotion and deliver the promised happy ending, but this one can! If you can afford only one book this month, make it Abbie Ann. You won’t be sorry you did! With the skill and flair her readers have come to know and love, Shar weaves yet another wonderfully captivating historical tale in Abbie Ann. This third book in her Daughters of Jacob Kane series will thrill and delight, as each character learns obedience to God and discovers triumph over tragedy. 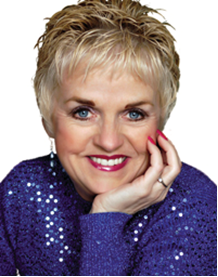 A delightful voice in the CBA market, Sharlene MacLaren captures the true essence of God’s restoring power. Abbie Ann is a must-read. 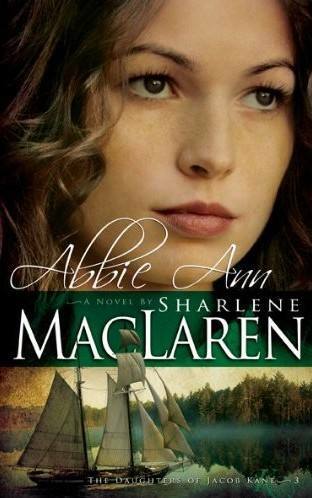 A fast-paced, gripping historical romance with true-to-life characters and lively dialogue, filled with surprising twists and turns, Abbie Ann, MacLaren’s third and final installment in The Daughters of Jacob Kane series, will have you rapidly turning the pages. Absolutely captivating! With entertaining and emotive prose, Sharlene MacLaren’s historical romance novels hold their own amid this ever-popular genre. Her characters have spirit and passion in abundance, and Michigan in the early 1900s is brought to life with her vivid and authentic descriptions. Abbie Ann is another feather in Sharlene’s auspicious author’s cap! Abbie Ann offers it all—adventure, romance, and the rewards of seeking God’s will. As always, Sharlene MacLaren pens a story that will pull you in and not let go. Sharlene MacLaren has written a story rich in emotion that will tug at your heart with characters that will live on long after you reach the final page. If you love historical fiction with a sweet romance beautifully woven into a captivating story, then you will love Abbie Ann. This novel is a work of fiction. References to real events, organizations, or places are used in a fictional context. Any resemblances to actual persons, living or dead, are entirely coincidental. All Scripture quotations are taken from the King James Version of the Holy Bible. Abbie Ann / by Sharlene MacLaren. Summary: “Abbie Ann, Jacob Kane’s youngest daughter, is a busy woman with little time for frivolous matters, including romance—until a handsome, divorced shipbuilder comes to town, his young son in tow, and God changes their hearts”—Provided by publisher. 1. Fathers and daughters—Fiction. 2. Shipwrights—Fiction. I. Title. No part of this book may be reproduced or transmitted in any form or by any means, electronic or mechanical—including photocopying, recording, or by any information storage and retrieval system—without permission in writing from the publisher. Please direct your inquiries to permissionseditor@whitakerhouse.com. To my beautiful mother, Dorothy, and my precious mother-in-law, Chrystal. In so many ways, you two fabulous ladies, by SHINING example, have shown Christ to countless others. I love you both and thank you from the deepest regions of my heart. Abbie Ann Kane marched through the blinding snow on her way to her family’s general store as howling winds curled their icy fingers around the buildings of downtown Sandy Shores, hissing and spitting and stinging her nose and cheeks. She pulled her woolen scarf tighter about her neck, but the bitter air still managed to find a hole through which to pass, making her shiver with each hurried step. The Interurban railcar rumbled past, its whistle alerting pedestrians and horses to make way for its journey up Water Street, Sandy Shores’ main thoroughfare. Through its frosty windows, Abbie made out a scant number of passengers and even caught a glimpse of someone drawing letters on a foggy pane. Probably some bored youngster, she mused. Turning her gaze downward, she headed into the strong, easterly gusts, passing the Star Bakery, Van Poort’s Grocery Store, Thom Gerritt’s Meat Market, Jellema Newsstand, Moretti’s Candy Company, Hansen’s Shoe Repair, DeBoer’s Hardware, and Grant and Son Tailor Shop. Two more doors and she would reach her destination—Kane’s Whatnot. Normally, her oldest sister, Hannah, would be working there, but Abbie had assumed primary responsibility for Kane’s Whatnot since the birth of Hannah’s daughter on January 15. RoseAnn Devlin was Hannah and Gabe’s third child, and Hannah had her hands full also caring for eighteen-month-old Alex and their eleven-year-old adopted son, Jesse. Taking responsibility for Kane’s Whatnot was the least Abbie could have done, never mind that she barely had time to turn around, what with her teaching Sunday school, serving as president of the local Woman’s Christian Temperance Union, assisting Grandmother Kane with the household chores, and visiting the elderly Plooster sisters as often as possible. Poor things depended on her to keep them abreast of all the news in town. “Of course, Papa. Just let me hang up my wrap.” Besides owning Kane’s Whatnot, her father also partnered with Leo Perkins in the insurance business, and the Kane and Perkins office was conveniently situated directly across the street from the Whatnot. Both businesses thrived in this lively, little resort town on the beautiful shores of Lake Michigan, where the winters could be bitter, but the summers were delightfully warm and cheery. The line for the cash register wound around the center aisle. There were Maxine Card and her young daughter, Lily, their arms full of candles, two loaves of bread, a wooden bowl, and an eggbeater; Landon and Florence Meir, each toting grocery items; and Fred and Dorothy Link, Fred hefting a sack of flour over his shoulder, Dorothy holding some canned goods and a few other items. Abbie moved past her father to hang her winter gear on a hook in the small closet behind the counter, which also served as a washroom. After a quick glance in the tiny mirror on the wall to rearrange the side combs in her flowing, black hair, she rubbed her icy fingers together and joined her father on the other side of the curtain. She felt slightly perturbed that the stove at the back of the store was not giving off nearly enough heat to quell today’s subzero temperatures. This remark earned another rousing giggle from the child, as well as a few good-humored chuckles from the adults within earshot. “Abbie Ann, where do you come up with these things?” Jacob Kane asked his daughter, shaking his head with a smile. “Or later,” his wife countered, ever the pessimist. For as long as Abbie could recall, the woman’s face had been pinched in a tight scowl. Jacob finished ringing up Maxine Card’s order, put the items in her burlap sack, and then immediately set to ringing up the Meirs’ purchases. Maxine and Lily waved good-bye and exited as two more customers entered, ushering in with them a blast of cold air. Saturdays in winter were usually like this, with folks considering the weather and feeling the need to stock up on supplies. Why, one turn of the wind could make for an all-out blizzard! “You go on now, Papa. I’ll take over,” Abbie said, edging her father out of his place behind the cash register. “All right, then,” he said, tallying up the last of the Meirs’ purchases. Abbie began stack each item in a small crate. “You’ll find today’s receipts in the bottom drawer,” Jacob told her. “Fine, Papa. Go, or you’ll be late.” The clock on the opposite wall registered two minutes till one. “Hush up, you ol’ fool.” The two were still going at it when they stepped into the arctic air, the wind catching the door and closing it with a loud whack. Jacob raised his eyebrows and shook his head, then donned his winter gear and left in the Meirs’ wake. “Ain’t them Meirs the happiest pair?” commented the middle-aged Fred Link as he laid a twenty-five-pound sack of flour on the counter. “Mrs. Ortlund!” Abbie cut in, her eyes traversing from Reba Ortlund to her young son at her side. The woman looked only a little sheepish. Fortunately, it seemed that Robert was paying no heed to the conversation, his attentions focused instead on his peppermint stick, which was creating a pink smear across his face that grew with every lick. Abbie proceeded to tally up the Links’ items as quickly as she could with hands that were still thawing, biting her lip to hide her smile. Then, all of a sudden, a thundering crash outside the store shook the building’s foundation, shattering the front window and sending store merchandise in every direction. Abbie jolted violently and shrieked, Dorothy Link screamed, and little Robert Ortlund leaped into his mother’s arms, his eyes as round as pie shells. It took several seconds to figure out what had happened, but the tongue of a wagon and a bent wheel protruding through the broken window signified a buggy mishap, whether from the icy road conditions, poor visibility, or, perhaps, a spooked horse. “What in tarnation?” Fred Link bellowed. At that, Abbie twisted out of Fred’s hold and rushed toward the front of the store, stepping over debris and nearly twisting her ankle as she picked her way through a pile of potatoes that had tumbled out of an overturned barrel. The frigid winds continued to howl, exposing everyone and everything to the outside elements. Suddenly, folks seemed to come to life as frenzied voices started speaking all at once, and several customers emerged from the far corners of the store to investigate what had happened. Through the yawning hole in the wall, a tall, strapping man materialized, with a young boy clinging tightly to his thigh. “Everyone all right in here?” he asked, bending over at the waist to see inside. His striking, blue eyes came to rest on Abbie, and, despite her tangled thoughts, she couldn’t help noticing the way they pulled at her. She’d seen him before, but now was not the time for trying to remember when or where. From beneath the rim of his worn hat, a thick tuft of chestnut-colored hair fell across his forehead. “Another rig slid out of control and nearly hit me head-on. I had to swerve to avoid a full-out collision. My horse panicked and went up on the sidewalk, veered off, and sent my rig through your window.” He gave a heavy sigh. “Looks like we’ve done some serious damage.” As if on cue, the horse whinnied in loud protest, its hooves pounding on the walkway. Someone on the other side of the wall spoke in steadying tones to the animal, probably to try to keep it from going completely berserk. “Oh, my goodness! Are you all right? Was—was anyone hurt?” Abbie wasn’t sure where to put her eyes—on him or on the little fellow still clinging to the man’s leg. “We’re fine. Can’t say for sure about that man who almost hit me, though. What about you folks?” At last, he looked away from Abbie to peruse the group of wide-eyed bystanders. Fred Link stepped forward. “Thank the Lord no one was standing at the front of the store when that window came crashing in—or walking through the door, for that matter. An instant sooner, and the Meirs or Jacob Kane might well have met their ends.” Abbie shivered at the very notion of such a tragedy, the bitter air accentuating her chills. Some kind soul retrieved her coat and threw it around her shoulders. She muttered her thanks while trying to collect herself. “Of course, I am, Papa.” Like a mere child, she wilted into his open arms, thankful he’d arrived to see to things. She didn’t mind the day-to-day responsibilities at the store, but the business end of things—along with major crises—belonged to Hannah Grace and her father. In fact, if all went as planned, Kane’s Whatnot would one day fall to Hannah, who truly had a heart for entrepreneurship. Abbie would stick around for as long as necessary to help run the store, but she had no interest in owning or maintaining it. “Is everyone all right?” Jacob asked, setting Abbie back from him to assess the matter. Noah tipped his hat at Abbie, giving her a better glimpse of his sea-blue eyes with their ocean depth. If he planned to smile, one never materialized. “How-do, ma’am,” he said in a stiff manner, his gaze flitting over her face. Despite his formality, she offered a pleasant smile and mentally berated herself for noting his wholly masculine deportment. Her best friend, Katrina Sterling, would say he was like candy to the eyes—never mind that Katrina had a husband and twin girl toddlers, to boot. Whenever she saw a nice-looking man, she’d say, “I may have spent my money all in one place, but that don’t mean I can’t still look at the merchandise.” Of course, everyone knew that Katrina Sterling loved to say brash things. Good thing her husband, Micah, never took her too seriously. “But I have no place to go. Besides, he’d chase me and the girls down. He wants to be the one pulling all the strings.” At that, the woman had gathered up her purchases and headed for the door. And that had been invitation enough. Since her initial disclosure, Arlena had come back a number of times to talk to Abbie about her desperate situation. Unfortunately, Abbie had no real solution, other than to tell her she would pray for her. Indeed, Sandy Shores had far too many drinking establishments, which was the very reason she’d joined ranks with the Woman’s Christian Temperance Union a year ago to fight against the town’s unbridled use of alcohol. Of course, educating folks about the destructive powers of alcohol wasn’t all the W.C.T.U. stood for. They also fought for women’s rights and suffrage, fair labor laws, federal aid for education, bans on prostitution, improved public health and sanitation, and international peace, all things for which Abbie had a growing passion. Some called her radical—Peter Sinclair, her beau of eight months, for one. Peter thought a woman’s proper place was in the home, and many were the debates they’d had over the matter. Although Abbie’s father didn’t go that far, he did worry about her, especially since she and several other members of the W.C.T.U. had started singing hymns and holding prayer vigils outside many local saloons. Last month, a dozen or so of them actually had walked straight inside Ervin Baxter’s establishment, known simply as Erv’s Place, to hold a peaceful gathering. Of course, Erv Baxter’s rude behavior in response to their hymn singing, Bible reading, and praying couldn’t have been defined as peaceful. No, he’d screamed to the heavens at them after all but a few of his regulars had walked out. Ignoring his halfhearted threat, Abbie had turned on her heel, her silent band of nervous crusaders following after her like ducklings after their mama. The child raised his gaze long enough to peek at Jacob, and that’s when it dawned on Abbie that she’d seen him before—in her Sunday school class of six-year-olds. An older woman, Julia Huizenga, had started dropping him off at the door about three weeks ago. As far as Noah’s familiarity, she now recalled having spotted him perched on a pew at the back of the church following Sunday school. “He’s a smart boy,” his father said, his voice bolstered by pride, and he pulled Toby to his side. “I think we’d best close up the store for the remainder of the afternoon,” Jacob said. The customers who had been in the store prior to the accident had wandered out to the street, where a curious crowd had gathered, despite the unrelenting wind. Jacob nodded and pulled at his gray beard, allowing his eyes to appraise his surroundings. It took a lot to dampen Jacob Kane’s spirits, and this minor setback to his business would not come close to succeeding. I have earmarked her to give her books a try and she developed a writing career later in like. An inspiration. A good beginning…I might look for it at the library. I do find that even reading a first chapter on a computer screen reminds me how much I do not want a Kindle! I can’t snuggle back into a pillow with a screen! I have a Kindle and it is far from reading on a computer screen. I love it. Didn’t think i would. It is actually easier to snuggle with a Kindle. I also read traditional books. Kelley – -the Kindles are very portable and light weight and you most certainly can snuggle into your pillow! Nessa — I want a Nook. I don’t like Amazon’s ebook policies.